Through The Craft Room Door: Just Released: Through the Craft Room Door Magazine! Just Released: Through the Craft Room Door Magazine! The November-December issue of Through the Craft Room door is now available in the Subscribers Only area of the Website. With over almost two dozen tutorials and articles that include an acetate front card, an upcycling project and how to crochet a pumpkin you are sure to find something to fuel your creativity! Our theme this month is Daisies, Fall and Celebrations, any kind, and of course we also have Christmas cards/projects to share as well! 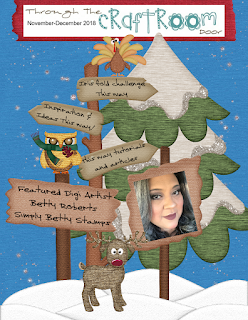 Our Featured Digi Artist this issue is the talented Betty Roberts of Simply Betty Stamping and we have some lovely inspiration cards showcasing the three images she has given us. She is a very talented lady so I hope you enjoy her work and check out her store! 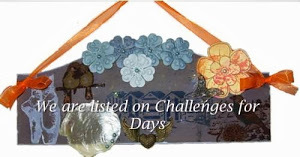 The Special Challenge on the Website is the Iris Fold Technique! 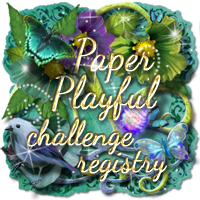 Come check out the great inspiration from the Design team and play along! If you are not a current subscriber and interested in subscribing, fee is $18.00 for first time subscribers. This gives you access to current and 24 months of back issues. Renewing fee after the first year is $12.00 with discount refunded once payment is confirmed. 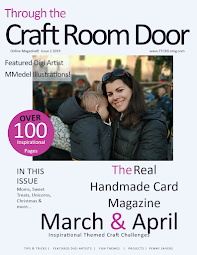 To sign up, just go to the website at http://craftrmdoor.ning.com/ and click on the Magazine Subscription tab or if you have questions, please contact Cara at TTCRDMag1@gmail.com. It is the Winners responsibilty to contact me to recieve their prize. 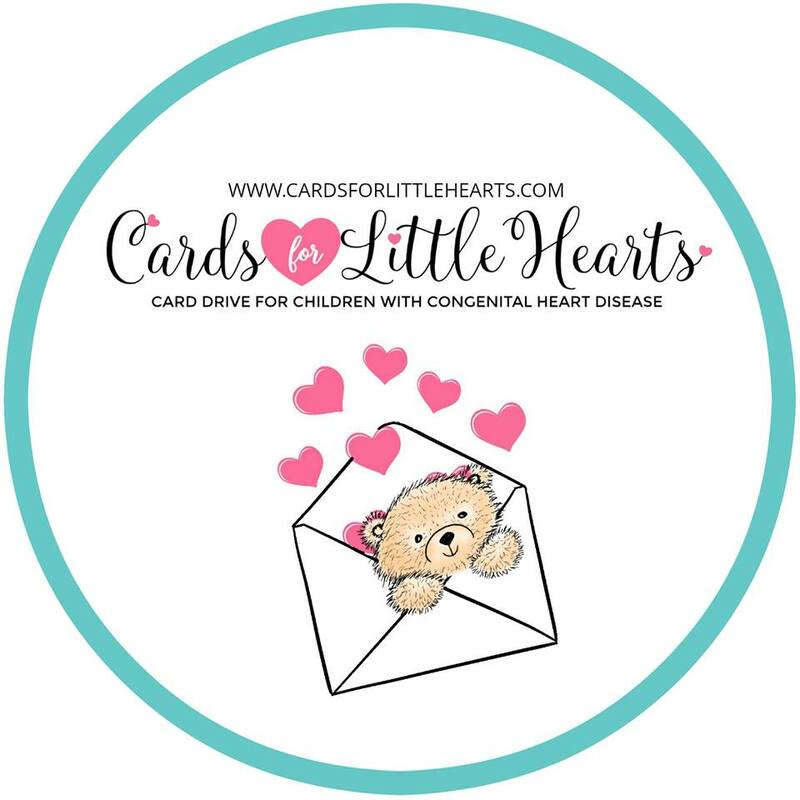 Please put "Magazine winner" in the subject line and provide the email address that I can have the cards sent to.